The Strahlen ST-100 is a crowdfunded S-fit LED lamp hoping to be the next addition to your lighting kit. A crowdfunded LED hopes to be the next addition to your lighting kit. 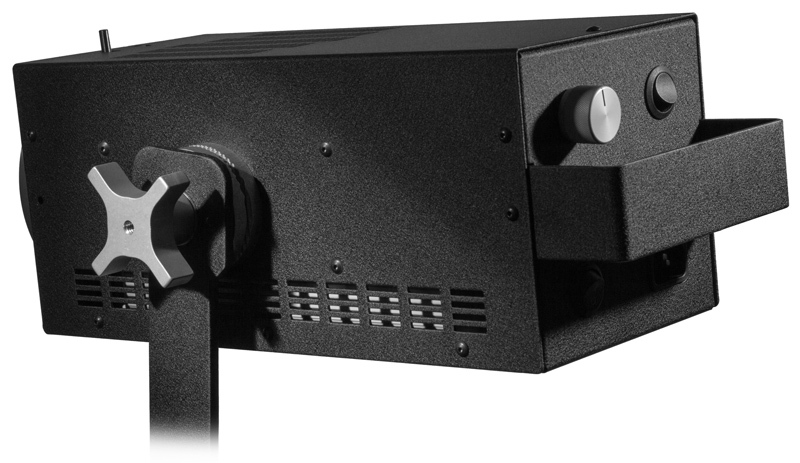 Strahlen, a new US-based manufacturer, says it will fix “a big problem in the lighting industry” with its ST-100 series of S-fit continuous lamps aimed at film-makers and stills photographers. The Californian start-up’s CEO Andy Waplinger reckons existing LEDs on the market are “too expensive, poorly made, or difficult to modify”. While certainly not the first LED studio light with an S-type mount, the Strahlen ST-100 promises to be “unparalleled in its versatility and quality”. To bring the product to market, the company hopes to raise $30,000 through an Indiegogo campaign. There will be three models — the tungsten and daylight balanced ST-100T and ST-100D, as well as a bi-colour version, the ST-100B. The latter combines the best of both worlds, toggling between two adjacent LED arrays at the flick of a switch — the first light to offer this, says Waplinger. 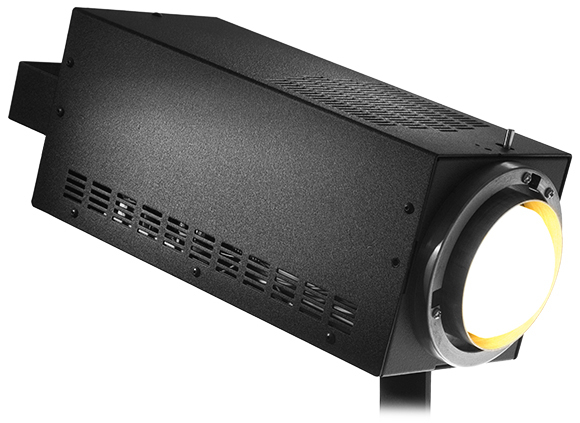 Each light in the ST-100 series provides the same output as an equivalent 500W halogen, while consuming just 100W. You can dim the intensity from 100–10% without flickering or major colour shifts, and because everything is self-contained you don’t need to drag around a separate power supply, or ballast. The colour rendering index (CRI) is rated at a high 90%. The standard Bowens S-type accessory mount will accept most common photographic light modifiers including softboxes and beauty dishes, while Strahlen also offers some proprietary magnetic attachments, such as a fresnel lens (to narrow the beam from 110° to 60°) and a diffusion dome (for a bare-bulb effect, pictured) plus a Chimera 6.5″ adapter for even more accessory options. Currently you can pledge $800 or more to get your hands on your very own Strahlen ST-100, or give just $500 if you want to rent a three-light kit for a couple of weeks. The company will receive all funds raised, whether or not they reach their $30k goal during the campaign. It finishes on 2nd February 2014, with a view to assembling and shipping the lights by April. For more technical data, other perks and to pledge your support, visit the Indiegogo campaign page. Can you see yourself using one of these? Share your comments below.